This 2016 Capitol classic design is crafted from the marble of the east front steps removed during the 1995-96 renovations. 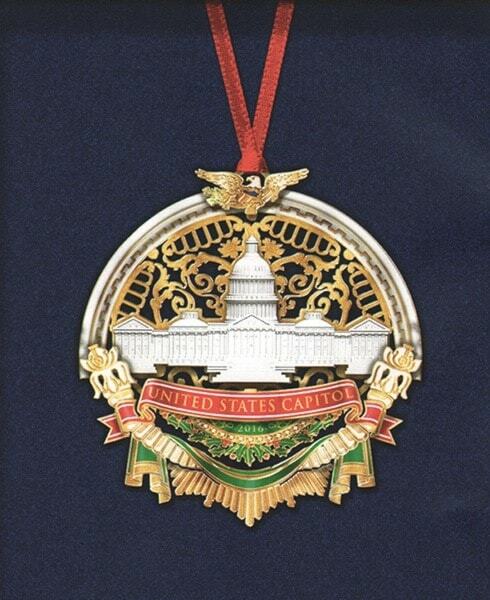 The Capitol rests on a 24kt gold filigree and enameled design. Elegantly gift boxed with provenance card. 3 inches x 2.25 inches. "Proudly Made in America"